For years, the government has been spruiking the idea of a “power nap” as a way to save lives on the road by reducing driver fatigue. The idea is that by taking time to refresh and recharge yourself, you become a better mother, a better partner, and just generally a better human being. “Mums think, ‘If I have time to myself, I’m not as good a mum’. If you don’t have a break, stress starts to increase, anxiety starts to increase, and you succumb to just sheer exhaustion - that feeling of being overwhelmed,” she tells kidspot.com.au. “Then you start to get that guilty feeling, you feel you’re being a bad mum because you’re meant to be happy and your focus is meant to be on your child. She says it’s especially detrimental when mums start comparing themselves to other mums. It’s something Sydney-based public relations maven Samantha Dybac is all too familiar with. She runs her own business, The PR Hub, and tells kidspot.com.au when she had her daughter Mischa in 2016, her world changed so much she felt she’d lost her sense of identity. “Before my daughter came along, my business was my baby, and I was working really long hours. When she was born, I didn’t know who I was any more,” she admits. After a while, she realised the best way to cope was to leave her daughter with her partner for two or three hours every two weeks, and go for a long walk around Sydney with a girlfriend. She also makes an effort to go to the gym three or four mornings per week. “I can just be myself for a few hours, then go home and be a mum,” she says. “I get to exercise and also spend time just chatting and laughing with a close friend. It’s a healthy way to just have some ‘me time’ and keeps me connected with who I am as a person. It just resets my mind, and I can think about me and what I need to do. She said the key is to take advantage of the support networks around you - whether it’s your partner, a friend, a babysitter, or even a nanny who comes once a week. 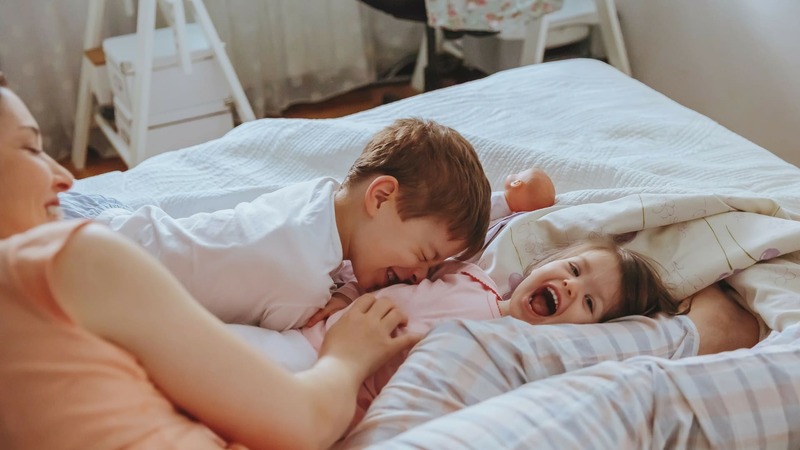 Catherine Cervasio, a Melbourne-based businesswoman and founder of Aroma Baby, has been a single parent for 12 years, and says she was never been able to really enjoy “down time” unless she was 100 percent sure her boys were supervised well. “This was particularly so when they were younger, and I was juggling a small business with raising two children alone,” she confides, revealing the only time she ever really “switched off” was when she was travelling for work and she’d sit back, listen to music, and allow the crew to take care of her. Her sons are now aged 17 and 23, and while she admits she still finds it hard to sit still - and she’s working on learning to meditate - she finds power-walking in nature to be incredibly therapeutic. “These days I make no excuses for taking a few hours out of the day for myself; not only does it help me recharge and clear my head, it’s when I do my best creative thinking and it’s great role-modelling for teenagers who learn by example, the importance of looking after yourself,” she says. She says it all comes down to making a choice, and putting in a conscious effort. “I think we first have to not judge - not judge others and not judge ourselves - because as women we’re good at that,” she says. “The thing is to assess how the day is broken up, and where you can slot in that time for yourself. You don’t have to say, ‘That’s too hard, or I can’t do that’. It’s about making a little bit of space in the day just for you - you need to think about what you can do at home to make yourself feel good and pamper yourself. Sign up to Juggle Street and book a babysitter today!